On holiday in Saint Petersburg, Russia, we were recommended a Georgian restaurant Khochu Kharcho (English name) by the receptionist at the hotel we were staying in and I must say, it was a really good one. The food was delicious and there came my introduction to this salad. 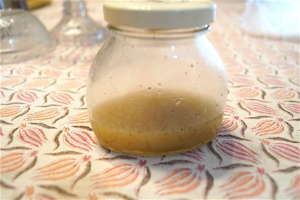 I found the crushed walnut dressing very interesting and thought to myself that I must make it. As usual, I went about adapting it to my tastes and added a bit more flavour than the dish at the restaurant. I made it tangy with a hint of sweet and salt. The dressing here should be a bit sharp because when you add the crushed walnuts, it will soak up all the flavours fast and if the dressing is a bit bland, your entire dish will taste quite underwhelming. 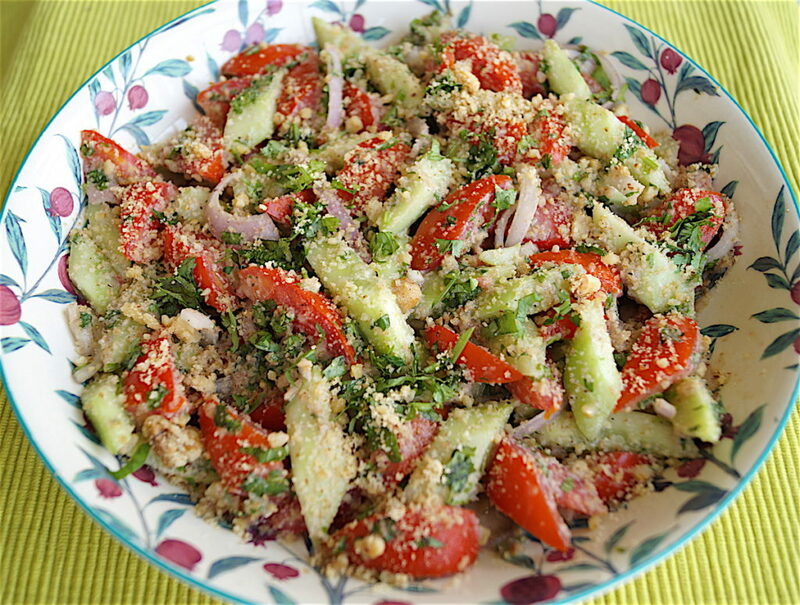 This is a very simple but really tasty salad. The walnuts give it a sweet and nutty flavour and also make the dish quite substantial, therefore you don’t feel that residual hunger that comes from only eating cucumbers and tomatoes. I ate the whole thing by myself for lunch! It was so fresh and light and I didn’t want to get into a large meal. I thought I’d eat half but then just carried on and on till there was nothing left on the plate. If you don’t have walnuts, you can replace them with roasted and ground peanuts. I wouldn’t replace them with any ground seeds though, such as pumpkin or sunflower or watermelon seeds, as they have a distinct and strong taste. Leave out the oil if you don’t have it. As they say, it’s the simple things that taste the best. This super easy salad is totally doable, even by kids. It has everything that’s always available in the house and I can guarantee you it will be on your dining table often. So go ahead and try it. Peel the cucumbers (or if you have young ones can keep the skin on), halve them lengthwise and then halve each half lengthwise. Remove the seeds and cut each length into either 1cm cubes or diagonally to resemble a diamond like pattern. Cut the tomatoes the same way after de-seeding them. 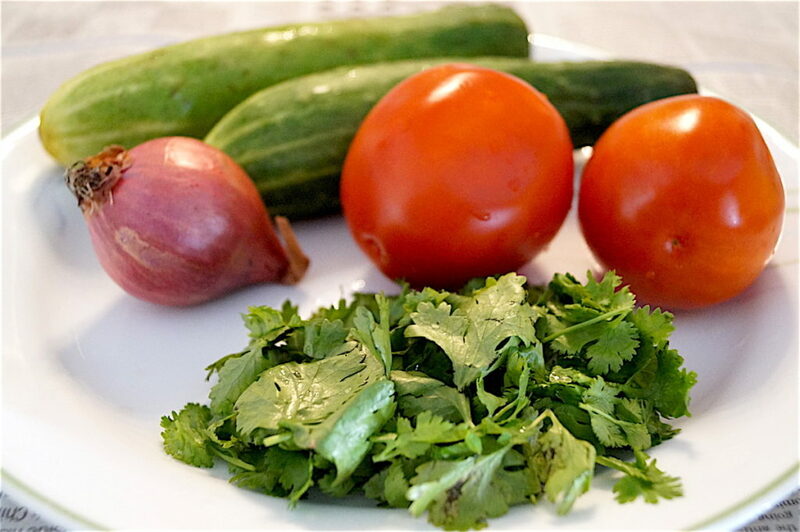 Removing the seeds ensures that you do not have a ton of water leaking out of the vegetables, making them soggy. If you’re using cherry tomatoes no need to de-seed. Just cut them in half. Mix the cucumbers, tomatoes, sliced onions and chopped coriander leaves in a large bowl and keep aside. Add all the ‘dressing’ ingredients except the walnuts in a small glass bottle and shake it really well till all the liquids meld together. Check to see if you need to add more salt, lemon or honey. The dressing should be slightly tangy else the walnuts will make it bland. 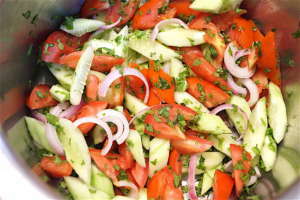 Pour the dressing on to the salad ingredients and toss well. 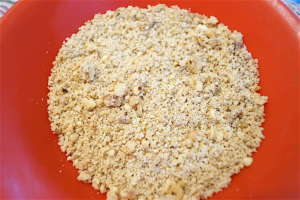 Then sprinkle most of the crushed walnuts – reserving a little bit for the end – and toss some more. 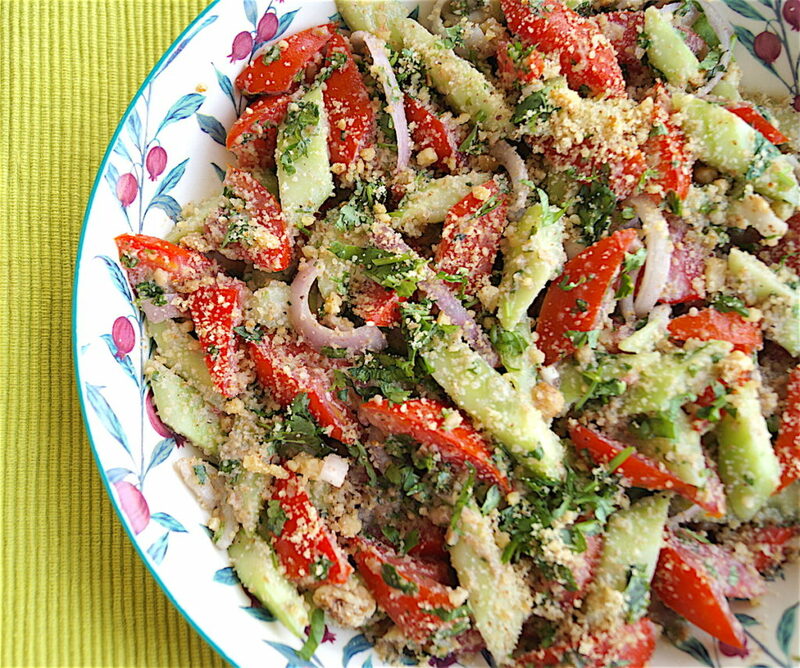 Remove the salad onto a serving dish, sprinkle the leftover crushed walnuts over the top and serve immediately. 2. 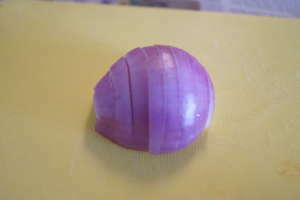 Cut the onion widthwise into 3mm slices. 3. Cut all the ingredients and mix in a bowl. 4. Add all the dressing ingredients except the walnuts in a glass bottle and shake well till mixed. 5. Roast, cool and coarsely grind the walnuts. 6. 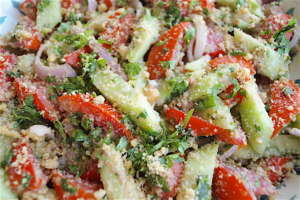 Toss the salad with the dressing first then the walnuts and serve immediately.